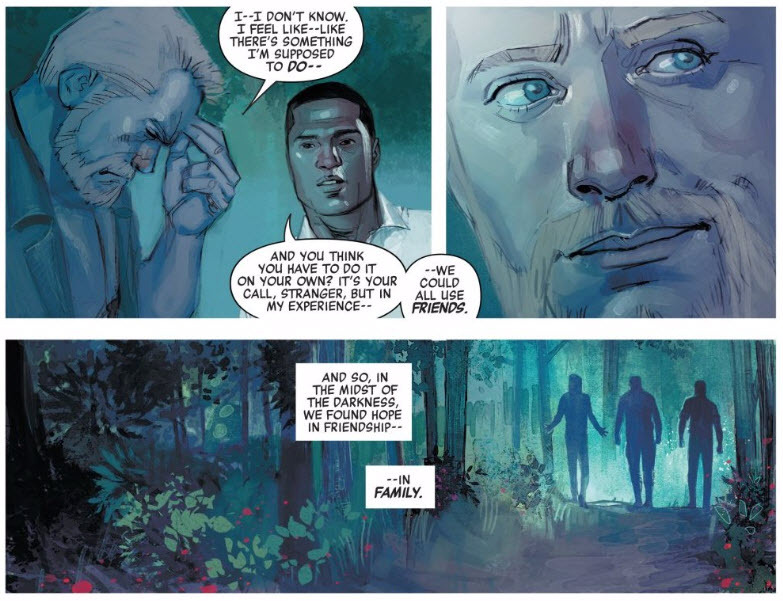 Sound and Fury Signifying Nothing: Matt on Secret Empire #3 - 6 - Wait, What? 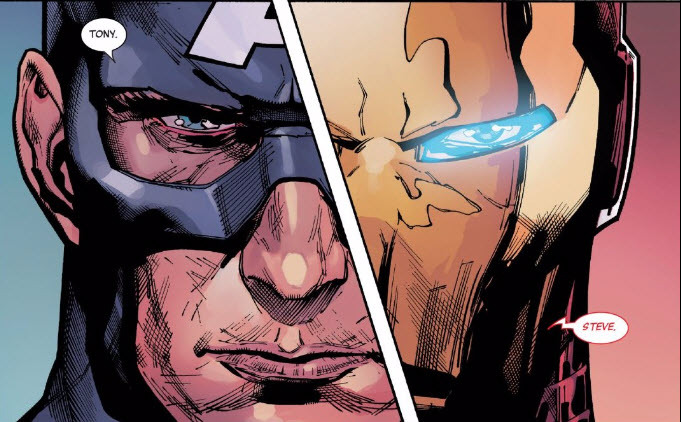 One of my foundational points in what has turned out to be an ongoing readthrough of Marvel’s Secret Empire event is that I didn’t understand the strength of the backlash against Nazi Cap. My argument, initially, was that this was just another incarnation of a fairly stock comic book story, and not nearly worth the fuss it was eliciting. After reading Secret Empire #3 and 4 [NOTE: and 5 and 6], I have to walk that back: it’s barely even a story of its own, and not worth any fuss at all. But I can’t shake the feeling that the backlash itself is partly responsible for rendering this story so toothless. [NOTE: This is where I resume writing the post again, post-issue-#6.] But, my lord, NOTHING is happening in these comics. Very little that’s interesting, anyway. There are a couple of cool moments in #6 (including a nice hero moment for long-absent favorite); the bonkers Hank-Pym-as-Ultron stuff is pretty fun; and … I mean, there’s a lot of purple narration, if you like that sort of thing. A few mysteries are strewn around (WHO is the old man? WHAT is going on with Bearded Steve? WHY is this taking so many issues to tell?) and it’s certainly not incompetent work, but it’s absolutely nothing new. Which is why I think it’s been watered down. The reason Hydra Cap riled people up so much is because there’s something inherently interesting there–exploring the fascist rot in America is a somewhat compelling idea, germane to our times, and poisoning Captain America was certainly a way of doing that. But … they haven’t done that. 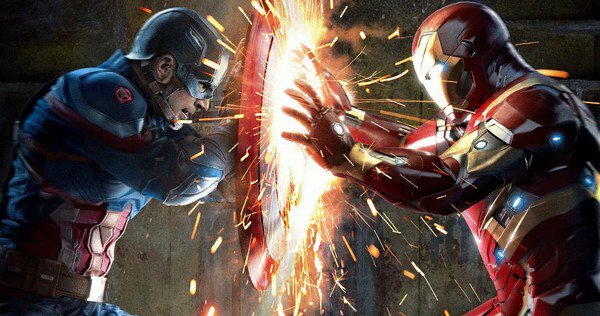 Instead, it’s being pitched as yet another ideological struggle between Cap and Iron Man. Civil War 3, if you will. Their previous conflicts are overtly referenced in dialogue throughout (including a heartfelt dramatic speech at the climax of issue #6), and even echoed in the art. Say what you will about Cap as a real, live, true-believer Nazi. Say it’s a betrayal of his creators’ ideals. Say it’s a variation on a familiar Cap-crisis-of-faith story. Say it’s of questionable moral or ethical value. But at least it’s not the exact same story they’ve been pushing again and again for a DECADE now. And I can’t shake the feeling that Secret Empire was supposed to be a more interesting story, but that someone–Marvel editorial? Marvel marketing? Nick Spencer? All of the above?–got real worried when the internet just annihilated the basic concept. Which would explain the dialed-back feel to the Nazi Cap elements of the story, would explain the patchy art jobs, would explain the belated need for an additional issue, and would explain why the story itself, for all the pre-release bombast, feels so weightless and familiar. I always want these deep dives into event miniseries to render one of those so-bad-it’s-good reads but they end up sounding like paying for the privilege of what it feels like to sit in rush hour traffic. I remember Abhay did a speed-review through Civil War II and even with Abhay being Abhay and mining the speed-review format, it was a slog. Yeah, I’m nowhere near as smart/funny as Abhay to begin with, and even so I’m not sure this IS so-bad-it’s-good material. I think it’s just bad. I’ve been trying to write a much more positive counterpoint about how much I loved the last tie-in issue of U.S.Avengers but so far it hasn’t quite come together like I was hoping. Good issue, though, overcoming some seriously bland artwork. Respectfully disagree. (although NB I haven’t read issue 6 yet). Yes, the plot is somehwat plodding and in a sense not much happens issue by issue – but I personally am finding it compelling reading, essentially for the chacrater stuff, but also for the fact that the way it’s going to play out is not entirely clear to me. I mean, I’m pretty sure dreamworld beardy-Cap is going to break through into real-world Hydra-Cap’s brain near the end, but what the real-world heroes are going to do I have no idea. And I’m enjoying the fact that they deperately keep trying, that they’re hoping it’s ‘Avengers/Defenders War’ all over again, but it’s not. Isn;t this the way of comics of teh 21st Century generally? Plot mechinaics aren’t the thing – its about how people react to the situations they find themselves in, and we get to watch people emoting and talking about it, with the occiasonal splash page of a giant fight. For whatever reasons, comics creators don’t seem interested in clever puzzle-type solutions to the problem of fighting bad guys, or even choreographing a fight. I miss those comics to an extent, but then they annoyed me too because they rarely let me know what the characters were going through emotionally (well, beyond the incrediably broad storkes of angry! Sad! 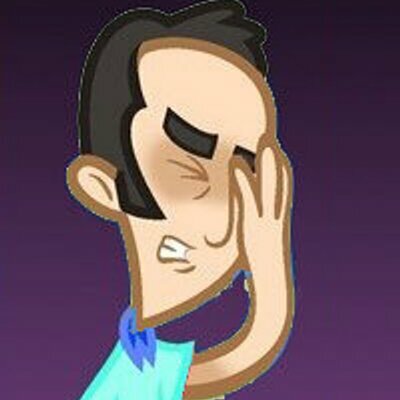 Frustrated!). Going back to Secret Empire, I can believe that someone somewhere (probably management) is reining some things back, but I’ve been pleasantly surprised by how much evil stuff CubeRogers is shown doing. His discussion of throwing out undesirables, allusions to the idea that poor performing schoolchildren are being excuded from school, his heavy-handed foreign diplomacy – it’s all pretty damned fascistic, and there are just enough hints about it that you can imagine people around the world today all wishing they had a charismatic leader like Steve, who was prepared to carry out these kinds of selfish policies. On the downside, it’s incredibly clear that this central book is in large part functioning as an advertisement for all the billion side-books. If I want to enjoy the full story of Black Widow’s ‘Red Room’, or Namor’s andventures in the Savage Land, or whatever. Don’t wanna read those, thanks! Now, if there was a spin-off all about ‘what evilCap is pushing through Congress’, I’d be well up for buying that! But as far as this central spine of the corssover goes, I’m pretty happy. It’s giving me a taste of what’s going on overall, and I’m rooting for the heroes against Hydra. The art is mixed but I’m enjoying most of it. I clearly have low standards!